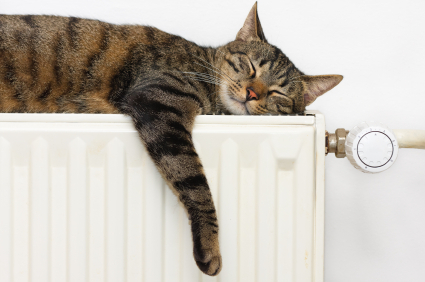 Central heating uses water or air to distribute heat to various areas of your home. Central heating is more efficient than individual room heaters and it also offers a lot more comfort, as heat is distributed more evenly around your home. According to Wikipedia, the invention of central heating is often credited to the ancient Romans, who installed systems of air ducts called hypocausts in the walls and floors of public baths and private villas. 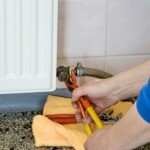 Watertech provide a full central heating installation service or upgrading your existing system. New heating systems with 1, 2 or 3 zones independently controlled. Replacement high efficiency boilers. An older boiler type will probably contain clogged and corroded pipes and will be costing you much more to run. Bare copper hot tanks may keep your airing cupboard warm but waste a serious amount of energy and money compared to an newer pre-insulated tank. The boiler heats the water and (normally) a pump circulates the water through the pipework and radiators and back to the boiler. The heart of the central heating system, is a central boiler or a heater. Various boiler types are explained on a separate page. Selecting your boiler type is probably the most important decision you need to make before installing your central heating. You need to consider not only the costs and environmental factors, but also available space, heat efficiency, fuel storage area, available roof space, house location and position on stand, yard area and access, amount of water that needs to be heated and the availability/cost of the chosen source of energy in the future. Watertech can advise you which type of boiler would be most suitable for your particular application. We also install several different types of boilers, so you can always ask us for a comparative quotation. The radiators may be mounted on walls or buried in the floor to give under-floor heat. Air-based heating systems use air vents and air ducts in place of radiators and pipes. 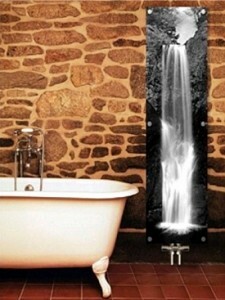 Radiators don’t have to be ugly, have a look at the example of a feature radiator from RadArt. Modern water pipes are made of plastic, iron, steel or copper. For many centuries, lead was the favoured material for water pipes, hence the word “plumbing” derived from a Latin word plumbum meaning lead. The type of arrangement used in your heating system depends on the type of flooring, desired placement of the radiators, distance from the central boiler and many other factors. A Central Heating Pump (also referred to as a Domestic Water Pump or Circulator Water Pump) circulates water in central heating systems from the boiler to the radiators and back. Central Heating Pumps are powered by electricity and they work in conjunction with the boiler, zone valves and thermostats to provide heat for your home. There are several pumps available on the market. We can advise you which pump would be the best for your specific application. Heating controls can range from a simple thermostat to a complex heat zone control system with separate temperature settings and timers for each room or area of your house. Installing modern heating controls or heating zone controls results in much greater comfort in your home and up to 20% savings in your heating bills. Read more about heating zone controls. If your current central heating system is over 10 years old you could be wasting money on your heating bills. By replacing your old heating system with one of our new, energy efficient systems, you could cut up to 40% off your heating bills. We can provide and fit a complete system or just upgrade worn out or damaged parts. 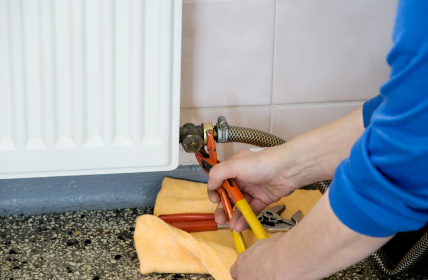 These can include faulty boilers, leaking/rusty radiators, leaking pipes, broken timers and valves. System upgrades can include high efficiency boilers, high output radiators, radiator thermostats, tank and pipe insulation and zoning controls. Watertech specialises in installation and maintenance of all types of heating systems – traditional, underfloor and solar. We can advise you which type of heating will give you the best results and the best returns on your investment. We can also give you comparative quotes for different types of systems if required. For central heating to be really cost effective, having your home insulated is essential. Just getting the loft insulated and sealing draughts is a good start. You should also insulate your boiler and your pipes, especially if your home is located in the colder parts of the country. We are approved installers of internal insulation (dry lining) and can also draft proof your house, insulate your water cylinder, the pipes, the floor and the attic. Contact us for more details.